Fox News can now confirm new, more — Donald Trump Jr., Jared Kushner, Paul Manafort, the lawyer from Russia, the interpreter, this new guy we found out about today, and a mystery person. John Roberts confirms there was an eighth person in that meeting. We don’t know, there may have been more, but there was an eighth. Jared Kushner filled out his form, I think it’s an F-86, saying who he’d met with and what he had done. Very important stuff, you can go to prison for messing it up, you know, intentionally. He went back and added 100 names and places. None of these people made it. It’s still not — we’re still not clean on this, Chris. It’s — if there’s nothing there and that’s what they tell us, they tell us there’s nothing to this and nothing came of it, there’s a nothing burger, it wasn’t even memorable, didn’t write it down, didn’t tell you about it, because it wasn’t anything so I didn’t even remember it, with a Russian interpreter in the room at Trump Tower. 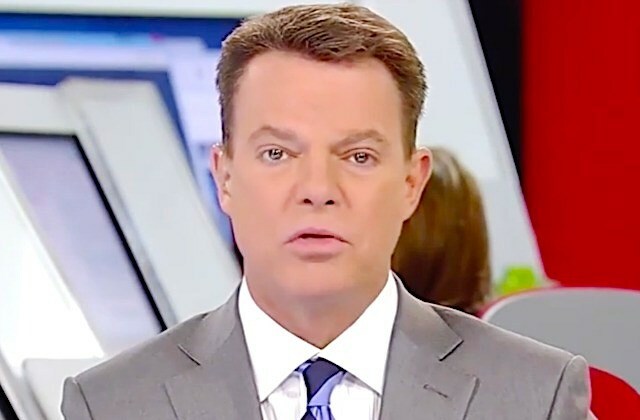 Shepard Smith has varied from the hard line pro-Republican viewpoint at Fox at times, but it is also rare to see such outright acknowledgement about government lying including using the L-word. The Fix is calling this a “Cronkite moment” referring to when Walter Cronkite spoke out about the lies being told about the United States involvement in Vietnam. This is a bit of an exaggeration. Walter Cronkite speaking out against the war is often seen as precipitating a turning point in public perception of the war. The majority of people in the nation is already opposed to Donald Trump and realizes he is a liar. However it would be more comparable if this leads to a change in perception of Donald Trump among Fox viewers.